You don’t have to be a huge soccer fan to appreciate the World Cup or the UEFA Champions League. The World Cup happens every four year, so once it is over, you would have to wait a long time to see the next edition. 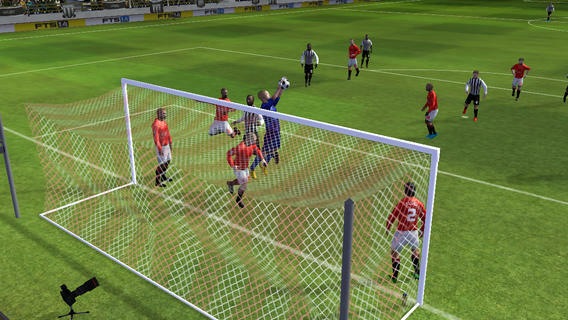 You can keep yourself entertained with games like First Touch Soccer. This is a beautiful soccer game that combines great graphics with fun game play to keep you entertained. 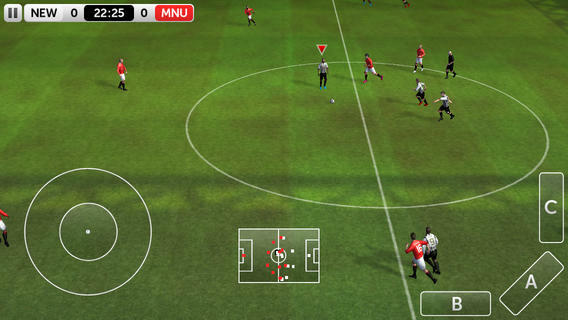 The First Touch Soccer app has fun animations and multiple modes. The Manager Mode lets you manage over 180 club teams over 30 competitions (if you have played career modes in other soccer games, you should know what to expect here). You do get the chance to play the game through your gestures. The global leaderboard lets you pit your skills against others. Want to share your best moments with your friends? No problem. The First Touch Soccer is free to play, but to get the most out of it, you will have to part ways with your money. You do need an Internet connection to get started. The game is lots of fun, though it did take us a bit of time to learn how to pass and play the game properly. It’s worth a try for soccer fans though.